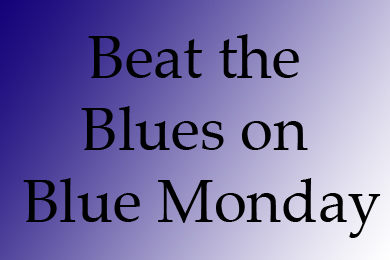 Although today, 21 January 2013, may have been has been designated as the ‘most depressing day of the year’, and while the science behind such claims remains to be proven, the Public Health Agency (PHA) says that nonetheless ‘Blue Monday’ is a good opportunity to take time out to look after your own mental health and that of people close to you. So, this positive action is really good news and something to smile about. Depression affects many , and it can be beaten with a positive approach. Mary Black, Assistant Director of Public Health, Health and Social Well-being Improvement, PHA, explained: “After the rush of Christmas, the New Year can be a challenging time with bills arriving and people often feeling lonely as their family and friends return to their normal daily activities. * Giving and accepting support – being available for others if they need support will encourage them to be there for you too. * Make time for yourself, family and friends – and talk to them about how you feel. * Get to know who you are, think about and try to do things that make you really happy, and don’t forget to laugh regularly. * Cultivate and encourage optimism in yourself and others, try to avoid over thinking and comparisons with others – learn to balance and accept what you can and cannot change about yourself. * Exercise regularly, preferably with someone else. Mary Black added: “Figures show that the number of people accessing mental health web and phone support services actually remains steady throughout the year, so while people may feel that January is particularly bad, it is clear that we need to be aware of the signs of stress and depression all year round. “If you, or someone you know, is in distress or despair, call Lifeline on 0808 808 8000. This is a free confidential service, where trained counsellors will listen and help immediately on the phone and follow up with other support if necessary. The helpline is available 24 hours a day, seven days a week. You can also access the Lifeline website at www.lifelinehelpline.info.